Interested in building your own rain barrel for use in your garden or yard? 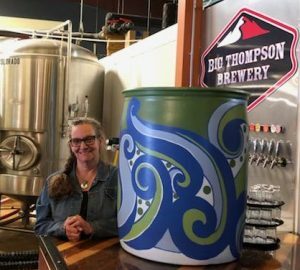 Come to the Big Thompson Watershed Coalition’s Rain Barrel event at the Big Thompson Brewery on Sunday May 19th, 2019. A small fee and reservation is required, and proceeds benefit the BTWC and our ongoing programs and projects. Visit Eventbrite to buy your barrels! Ready your porch, yard, or garden for summer water conservation with style! 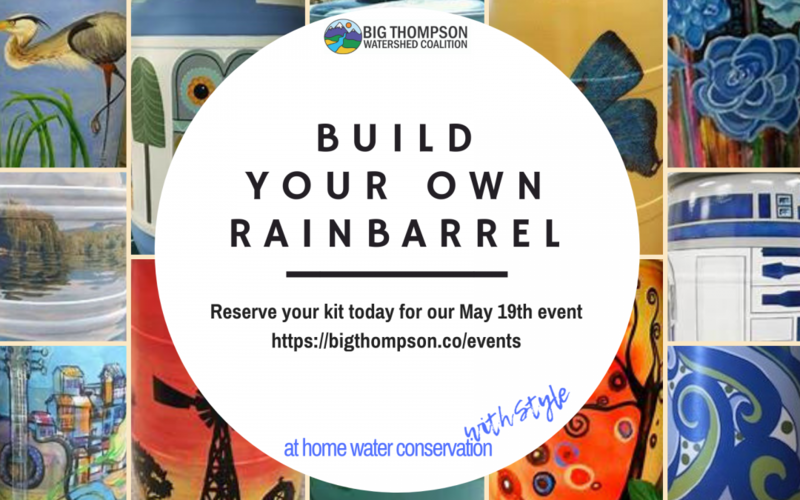 Join Big Thompson Watershed Coalition for our annual Build your own Rain Barrel workshop. Purchase your barrel here and join us at the Big Thompson Brewery on Sunday May 19th, 2019 for some fun in the sun for a good cause. Water conservationists of all ages are welcome to join! Registration is required as barrels are limited, 100% of proceeds benefit the Big Thompson Watershed Coalition and our ongoing Big Thompson environmental and community resilience programs. $50 ticket provides you: a 55 gal. barrel & kit, decoration supplies, tools and assistance, and one local Big Thompson Brewery beer to enjoy while you paint. Up to 4 barrels per customer, supplies are limited – reserve your barrel today! Enter for a chance to win this work of art by Deborah Dohrmann! Place your bids on our Facebook event post or contact us with questions! The auction will close May 19th at the Rainbarrel event, the winner will be announced at 3pm. All proceeds benefit BTWC, your local watershed health non-profit. This year we are proud to present our local artist rainbarrel, painted by Deborah Dohrmann. Join our silent auction on facebook to bid to win this beautiful work of art that is sure to draw attention to your at-home water conservation efforts with style! Deb jumped at the chance to work on the rain barrel and feels that the lovely paisley design mimics the color and movement of water. Deb has been a professional artist for 20 years, but only recently relocated to Colorado to be closer to her kids. Her talent lies in window art and advertising, mural painting, and restoration. Check out her website to see more of her work!